With all this discussion on how many lanes Gallipoli Underpass needs to be, does anyone know the traffic volumes the underpass currently sees compared to the rest of South Road? Given the amount of entering and exiting traffic I wouldn't be surprised if the underpass sees less traffic passing through it. 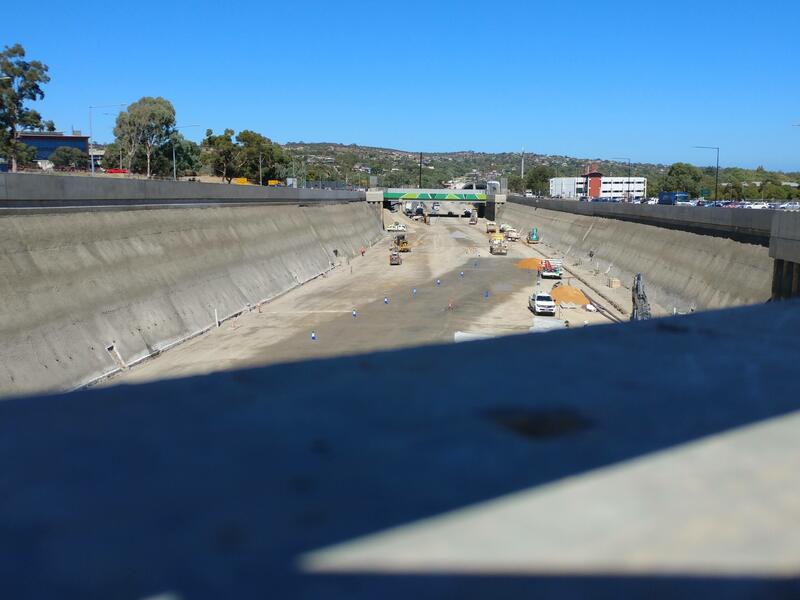 A new video has been posted by DPTI showing the journey from Tonsley to Flinders Drive. Thanks. That implies that the underpass see's 2/3 to 3/4 of the traffic compared to other nearby sections. That would likely imply that while 2 lanes either direction is low for a freeway, it's unlikely to be a major bottleneck if those other sections are only 3 lanes. That is with current traffic volumes. Given this section of the motorway wont be operational for a least a decade, and there will be some induced demand, it would surely be best to keep the middle sections 3 lanes? Comparisons with the southern Expressway are not really relevant, as it carries mostly private car traffic, and not so much freight. Trucks trying to merge is not ideal. 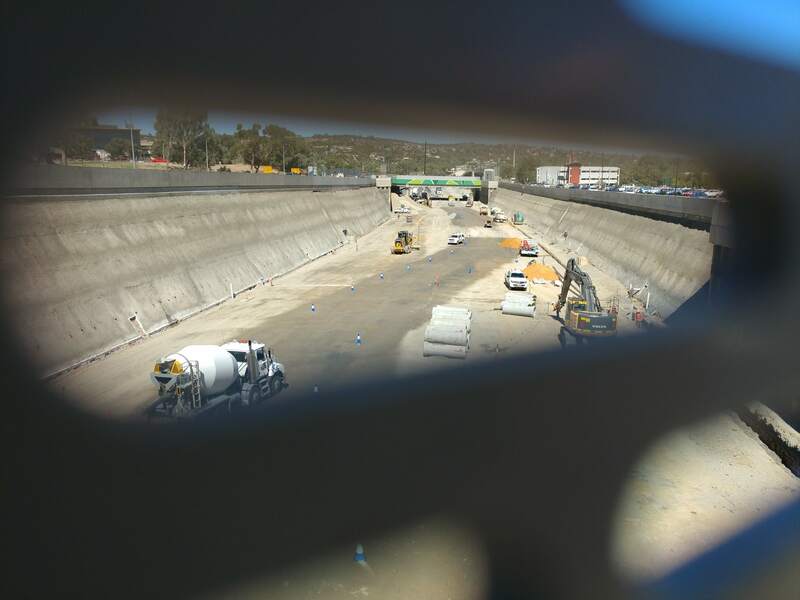 Interesting that they deleted the Ayliffes Road to Southern Expressway video at some point today - it was there earlier but it's now unavailable. I didn't see anything too controversial about it so I don't know why they took it off... hopefully comes back on soon though. On a positive note I'm almost happy to see DPTI no longer allow comments on their videos - it was getting very AdelaideNow style of deliberate idiocy on almost every video. Almost a third of current traffic uses the off/on ramps. I see no good reason to expect that proportion to change. The available distance to merge (either way) before "left lane must exit" and after "additional lane entering" is much longer than the space for a warm-up lane for vehicles to merge into three free-flowing lanes before the speedup lane ends. My experience is that my local shopping centre has a left turn warmup lane into an 80km/h zone (there is a main exit with traffic lights, this one is extra, after those lights). I frequently find cars stopped at the end of the lane because they failed to match a gap in the passing traffic in time. I saw both videos at lunchtime, but the second one is now unavailable. I thought I saw one of them fly through a red light, but can't see it in the remaining one, and the other one was mostly expressway so wouldn't have had traffic lights. That's why I asked about proportions of traffic. Either way there will be merging whether it's traffic in the left lane merging so as to not leave if the underpass is 2 lanes, or traffic merging as it enters if the underpass is 3 lanes. From a safety perspective it would seem to me like the former is safer as there can be more notice and time for traffic to prepare. I saw the clips earlier today too - In the second video the camera definitely ran a red light right at the beginning as it crossed Shepherds Hill Rd - I watched it twice to be sure! Vegetation works at T2T have started. Looking into the trench from Sturt Road. It's a lot wider than I expected. It's wider because it accommodates 4 lanes each way, plus merging lanes. The video that was up on Wednesday but now removed would show a better indication of what is actually being built. Yesterday a second watermain has burst in only a week and caused havoc on the same unfunded section of this North - South Corridor at Melrose Park. With the closure of 2 of the 4 lanes, in the peak period, cars queued for kilometers and businesses were also affected. Repairs took over 12 hours.